The need for a home remodel can build as your family changes or it can happen quickly when you purchase a new home. The new year is an opportune time to think about moving forward with a home improvement project. 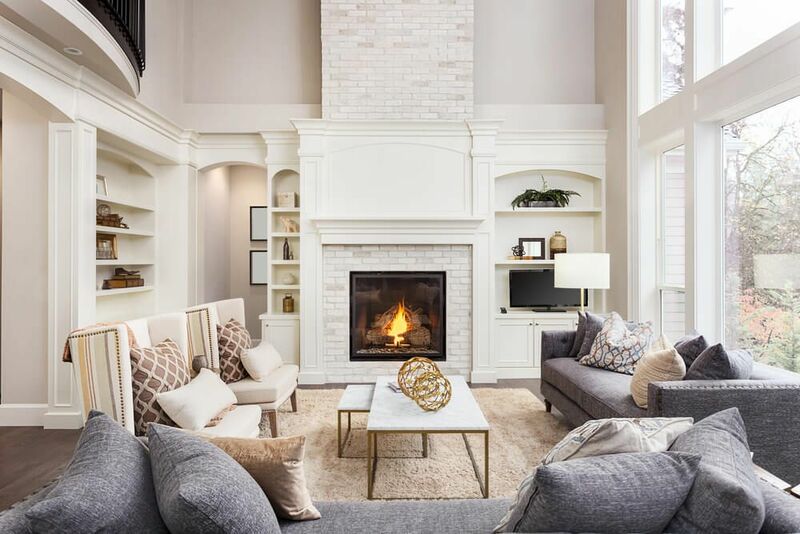 After the busy holidays, you finally find yourself in a more tranquil time of the year when you can catch up with the activities you’ve been putting off and start thinking about organizing and upgrading your home for the new year. It may be just the time to find a reputable remodeling contractor. Finding the right person for the job can be tricky when it seems like every ordinary Joe online is offering his handyman services. When you Google “Remodel contractors near me“, how can you be sure about the quality of each business listed? Before you even search for a contractor, you should identify what you want to change about your home. When you have a good idea about what kind of work you need, then it’s time to do a more comprehensive search. For example, after writing down your list of wants and needs, you conclude that your biggest pain point is your cramped kitchen. Therefore, you should look for a contractor who has experience with both minor and major kitchen remodels. Or, perhaps you dream about entertaining in your backyard but lack a patio, fire pit, or pool. You’ll then want to narrow your search for a contractor who is adept at turning ordinary backyards into a splendid outdoor living space. The quickest and easiest way to start is through an online search. For example, if you wanted a kitchen remodel, you can search for “kitchen remodelers near me” and check out the listings for the Phoenix area. Or, you can save all that time and head to award winning, Republic West Remodeling who has a A+ rating with the BBB. Remodeling your home is a significant investment that requires careful consideration. Make sure the remodeler gives you the assurance that they can complete your project to satisfaction. Flesh out the plans visually so you can see them before they begin. Stay on schedule per the contract. Stick with their contract price. When you work with a company, like Republic West, that does these easily, you can walk into your remodeling project with confidence. Other designers may sit down and take notes about what you want and can do a decent job realizing your needs, but how can you make sure that you’re getting exactly what you want? When a designer draws out the plans in full color, such as in 3D rendering, it takes any guesswork out of the results. This step eliminates the possibility of surprises after the job is done, because you know exactly what you’re going to get. Not every remodeling contractor near you can guarantee an absolute price and timeline. In fact, the Washington Post mentions the horror story of one homeowner who spent 70% more than the contract price for a project that lasted 3 years longer than expected! Though the contractor’s work was beautiful, the length of time it took to complete and the dramatic increase in cost certainly wasn’t. A great remodeling contractor is going to stick to the contract’s terms. If they say they will be done in a month, they should be done in 31 days or less. The contract price should also remain the same, and any deviations from the proposed figures should be discussed in advance before any additional work ever happens. At Republic West Remodeling, we offer the Dream Assurance Plan, which means that we respect your time, budget, and home. We stick to the contract and lay out our design plans in full color before we even start. Contact us today to get in touch with one of our outstanding contractors.